Nestled amidst the mighty Himalayas, Nepal is known for its rich culture, tradition and some of the highest mountain peaks in the world that includes Mt. Everest, the higest mountain peak on our planet. With our collection of Nepal tour packages you can go to the best tourist spots in Nepal to get the feel of scenic beauty, local culture and tradition and idyllic atmosphere to the fullest. The rugged terrain of Nepal has also paved path for various types of adventure tours. One can embark on a number of adventure tours such as mountain hiking, trekking, mountain cycling, and mountain biking and other sports to give you that much cherished adrenaline rush. 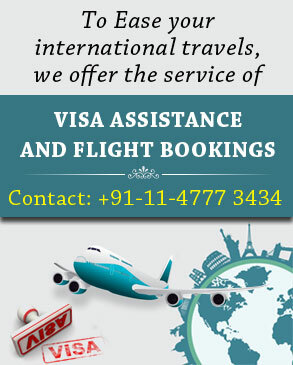 You can go for adventure trips to places such as Annapurna base camp, Everest base camp and so on. With our short and extended Nepal travel packages some of which also combines the other Himalayan kingdoms such as Tibet and Bhutan, explore the very best of Himalayas. Our collection of Nepal holiday packages from Delhi as well as Kathmandu and elsewhere will take you to some of the most sacred temples, mighty Himalayan peaks, UNESCO inscribed World Heritage Sites offering a glimpse into the rich culture and heritage of Nepal as well as Himalayan region in Bhutan, Tibet and North East India.